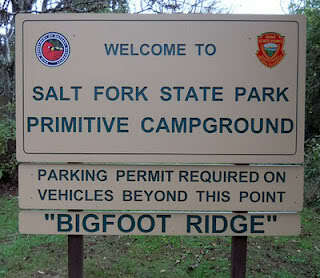 Salt Fork State Park in Ohio is the Mecca of the Midwest when it comes to Bigfooting. The park boasts a number of sightings and even has an area called "Bigfoot Ridge." But it is most known for its annual Bigfoot Conference that takes place every year in May. The Ohio Bigfoot Conference is the largest yearly Bigfoot event in the country. If you've never been to this place, I highly recommend making a pilgrimage to this historic Squatchy park. For more information on this year's conference click here. In this video, Tim Stover of the Ohio Bigfoot Hunters, takes his first trek of the year into Salt Fork. He ends up meeting up with some friends, and they spend a couple days in the park looking for the Ohio Grassman.